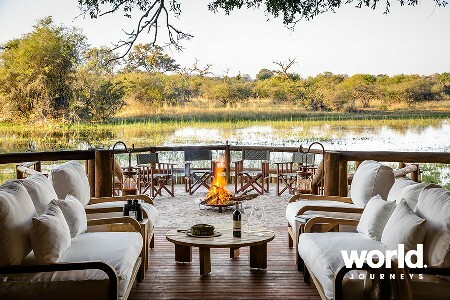 The andBeyond Superior Delta Safari is a six night expedition set in the Okavango Delta and combines mobile camping and a stay in a luxury andBeyond lodge. 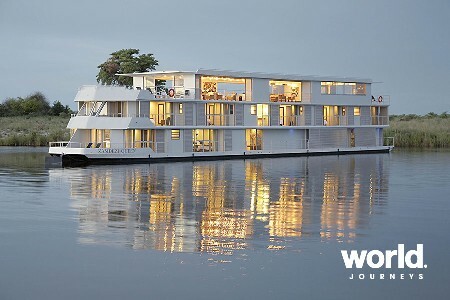 Focused entirely on the glorious Okavango Delta, this six night adventure offers the very best this region has to offer on a concise tailored tour that is perfect for those who have shorter leave periods or guests who would like to sample mobile camping. Rustic and comfortable mobile camping allows you to get closer than ever to the spectacular African wilderness, with the same personalised andBeyond experience. Your entire journey will be hosted by our most senior and experienced private guides who offer a wealth of knowledge about your chosen destinations and an engaging experience throughout your adventure. Your mobile camping adventure is fully inclusive. From the time you arrive in Botswana, every aspect of your journey will be conveniently organised for you. From private concessions to ending at an award-winning andBeyond lodge where you can enjoy luxurious creature comforts such as soothing massages and a sparkling swimming pool. This expedition will leave memories to last a lifetime. This game-rich region will offer excellent land and water-based activities such as game drives, bush walks, mokoro excursions and fishing. 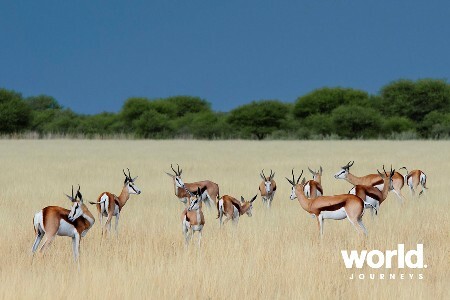 Wildlife Opportunities: Elephant, Lion, African Wild dog, Leopard, Antelopes, Giraffe, Hippo, Zebra. 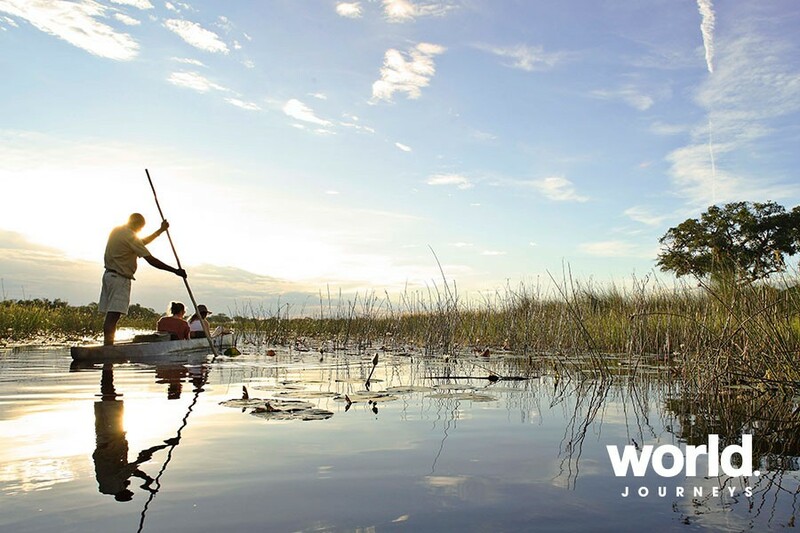 Days 1 & 2: Maun > Okavango Delta Your adventure begins in Maun, where you will meet your guide and embark on a flight to the glorious Okavango Delta. 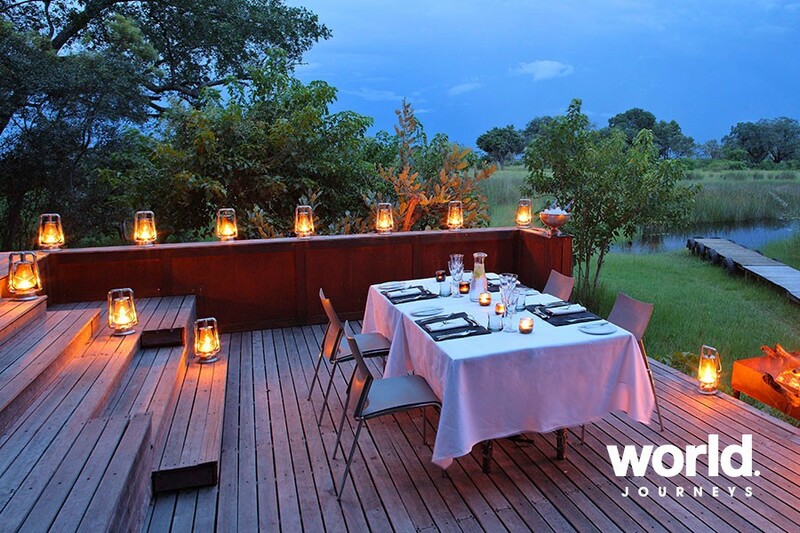 Experience a wonderful two night's stay, on the banks of a seasonal waterway, overlooking the celebrated Moremi Game Reserve. Here, on your private concession you will be truly spoilt for choice at the assortment of excellent wildlife sightings in the area. From your pristine surrounds in the Okavango Delta you will enjoy the same renowned wildlife sightings commonly associated with the Moremi Game Reserve such as lion, leopard, African wild dog, kudu, elephant, semi-aquatic lechwe, hippo and giraffe. Adventures include game drives and bush walks. 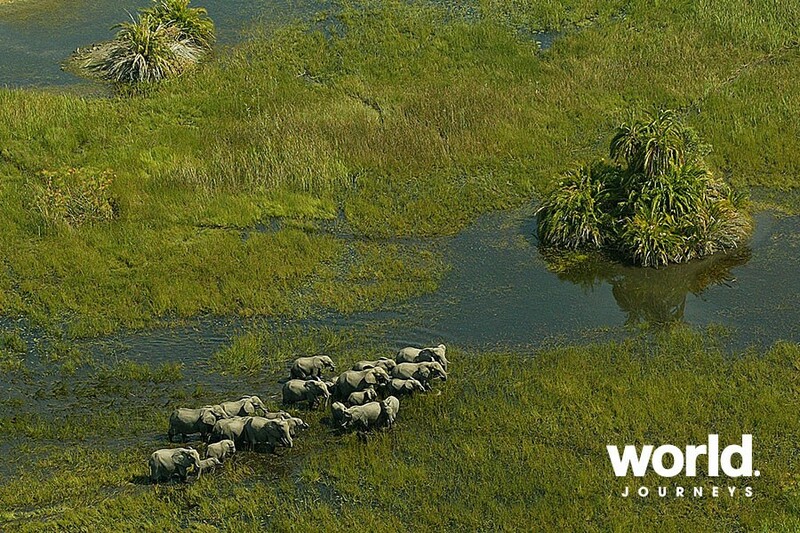 Days 3 & 4: Okavango Delta Next, you will again hop aboard a light aircraft that will take you the famous Nxabega concession, in the Okavango Delta, where you stay for two nights. 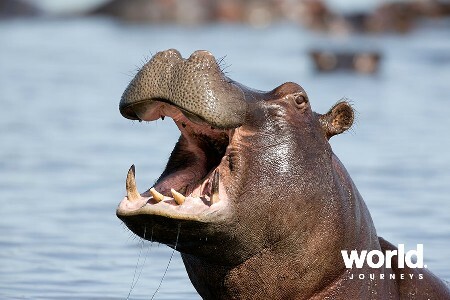 Here you will experience an adventure-filled mix of water and land activities from game drives and bush walks to mokoro and catch-and-release fishing. Please note that the water based activities are seasonal. Days 5 & 6: Okavango Delta The final leg of your journey will take you to one of the andBeyond lodges in the Okavango Delta, either on a light aircraft or by game drive transfer. 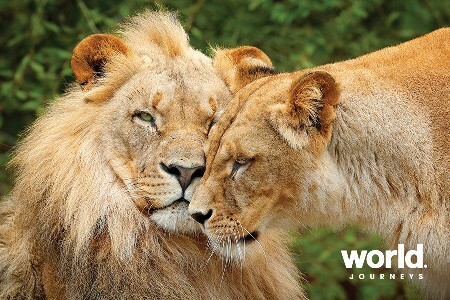 Here, you can round off your unforgettable Botswana journey in luxurious, award-winning, surrounds with all the creature comforts such as soul-soothing massages await. Activities include game drives, bush walks, mokoro trips, boating excursions and fishing (seasonal). 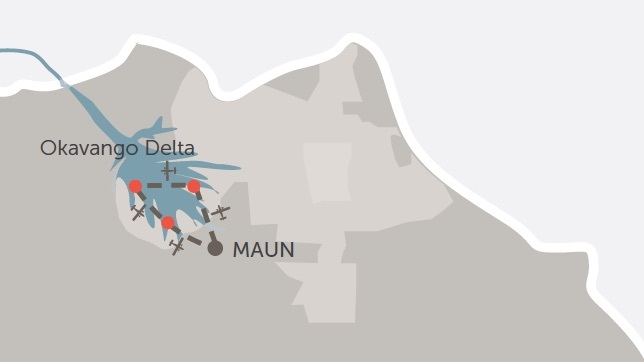 Day 7: Okavango Delta > Maun Today, your guide will accompany by light aircraft you to Maun and will wave a fond farewell as you board your flight homeward from Maun International Airport. Minimum age limited is 12 years. • Enjoy fully serviced mobile camping. By this we mean that you can expect the renowned andBeyond service during your adventure such as a butler, housekeeper and chefs who prepare the most scrumptious pan African menus. 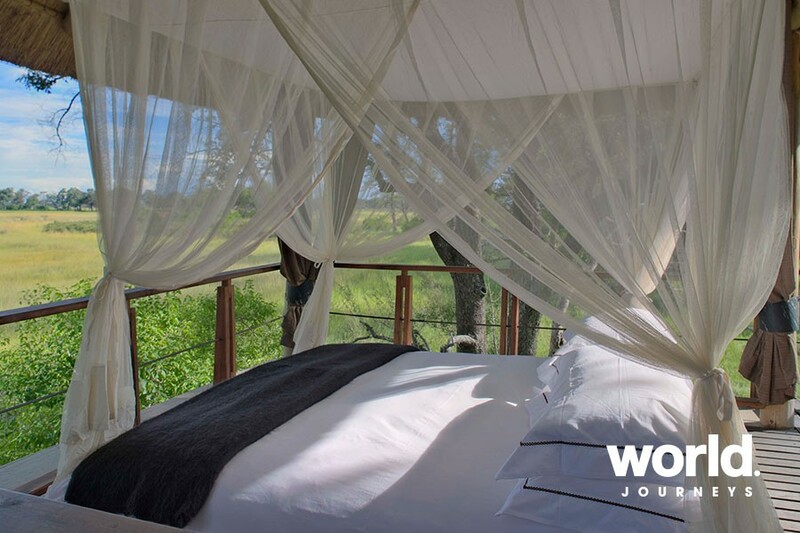 • Accommodation is in spacious expedition dome tents (4 metres x 4 metres in size), comfortable beds, ensuite bathroom (3 metres x 3 metres in size), separate w.c. and hot bucket shower. 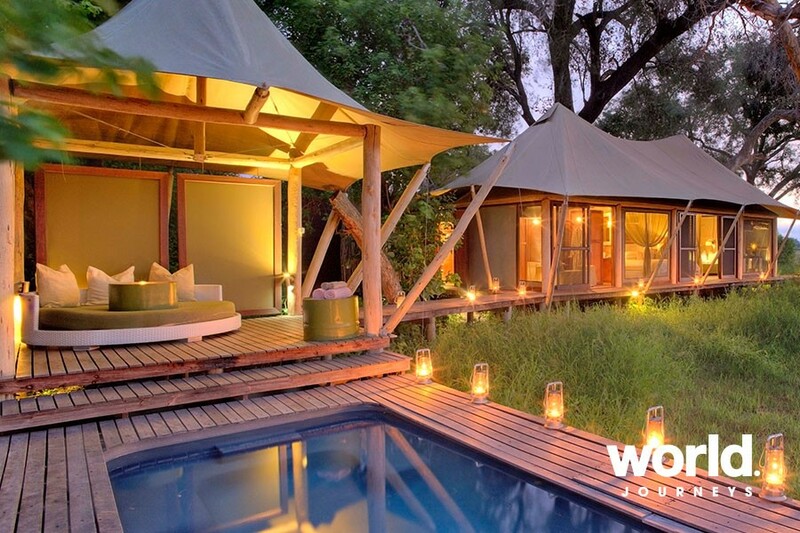 • The mobile camp boasts three ensuite safari tents. 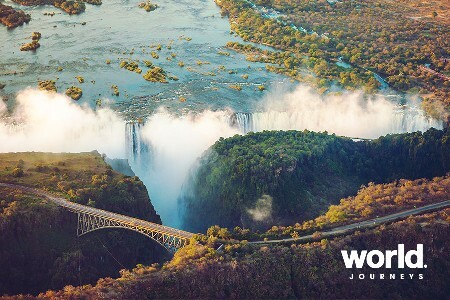 • This itinerary ends with a stay at an andBeyond lodge. 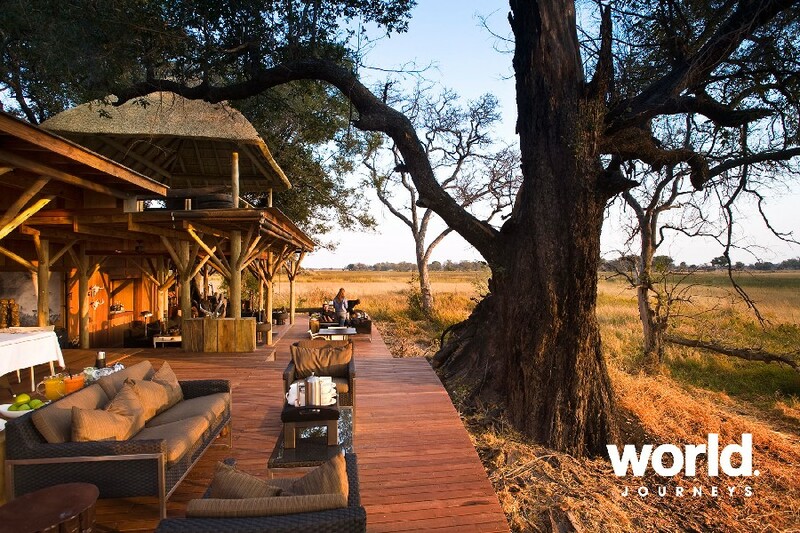 Xudum Lodge or Xaranna Okavango Tented Camp dependent on availability. • As this is the quintessential African safari experience there is no electricity in the mobile camps, but cell phones, cameras and other electronic devices can be charged on the safari vehicle.